I received my magazines they look great ! They have fun activities and a poster inside each one . Your child will love having their own magazine ! They will learn to read and the magazines include some of their favorite characters ! Doc Mcstuffins, Spiderman, Peppa Pig, frozen and so much more ! 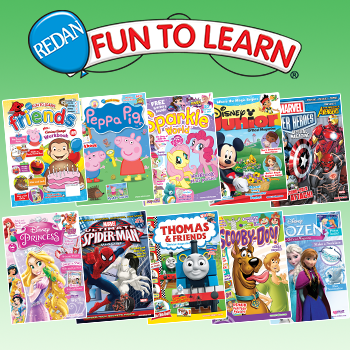 Redan publishing really knows how to get your child to read . What a great gift for your child or for friends and family ! I love it ! I can't wait for my nieces and nephews to come over so I can read and do the activities in the books . The magazines are bright and have beautiful color packed pages !